Ahhh Valentine’s Day… the day of bloodied hearts… and love! 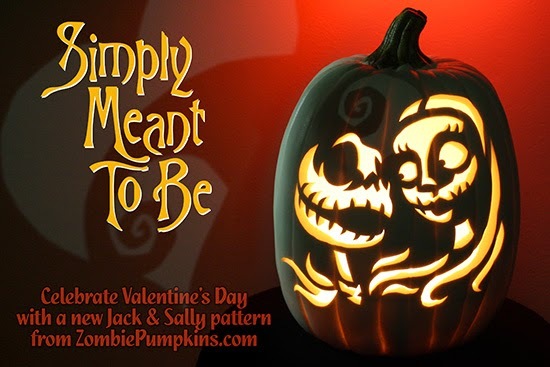 The good folks at ZombiePumpkins.com have surprised us with a beautiful pattern featuring Jack and Sally from Nightmare Before Christmas. If you signed up for a membership last Halloween you still have access to download this clever pattern that can be used together or apart. (FYI, memberships are good for 9 months!) Get more information here. This last moment from the movie gets me Every. Single. Time.